Wild game season is upon us, and we’ve put together this little cheat sheet for those of you who don’t know your biche from your bécasse. * the consumption of ortolan is now forbidden in France. Chevreuil and cerf are two different species. Cerf is a male red deer, biche is a female red deer ; le chevreuil is a much smaller European species similar to Virginia white-tailed deer. Great article. I love the fact that you posted this. Sometimes it is a great reminder of the terms that are used for meats and cuts. I will be sharing this with some friends that were recently doubting what I was telling them! Keep up the great work. 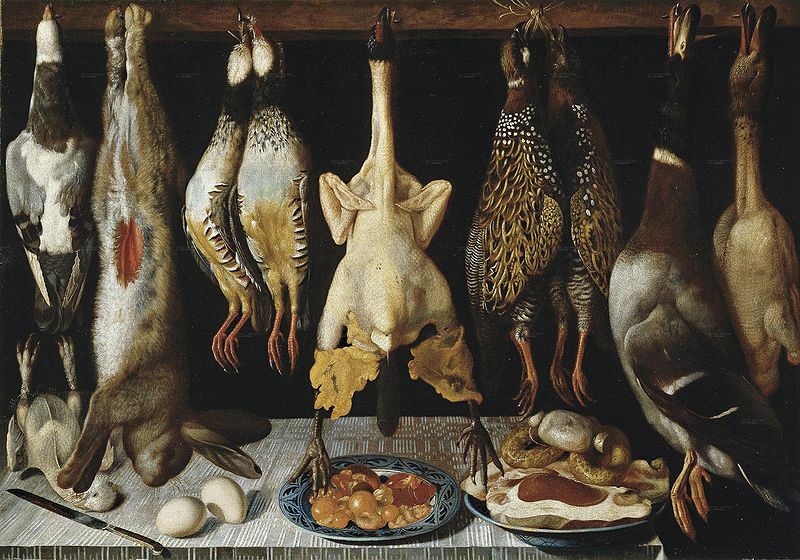 Hi Kate, I know the Aligre vollaille shop you’re referring to (inside the covered market) and they have a few more things now – wild duck, red and grey partridge, pheasant, hare. I saw a huge cut of deer last week. I think it’s just really variable depending on what day you arrive and what they have in. I’ve also seen a vendor at the outdoor Marché Raspail (not the organic one) who has a ton of stuff in game season. Anyone else have a recommendation? Any tip-offs as to decent wild game butchers in Paris? My local market (Aligre) has one ‘game butcher’ but it’s mostly actually chicken with the odd scraggy piece of boar or venison. In sixteen years here I have never found a good source. I thought it had to have the dickens pounded out of it.